She’s technological, yet soft . . . like a killer robot teddy bear. 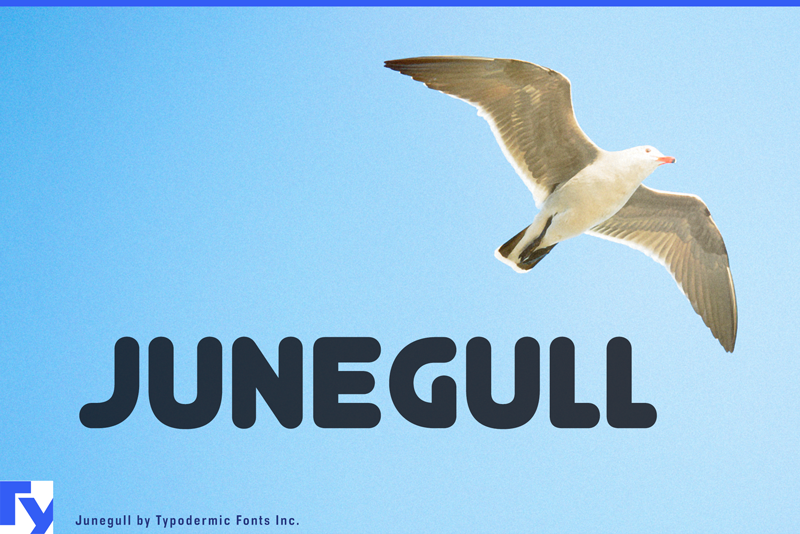 Numeric ordinals, fractions and loads of math symbols make Junegull you new squishy pal. Don't forget to read the files inside the zip for details. Grunged up styles with automatic OpenType ligatures are available for sale via various commercial font vendors.